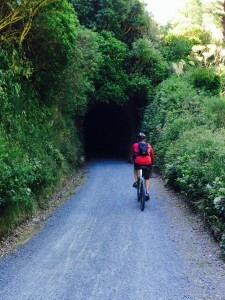 New Zealand has been building many kilometres of bike trails over the last few years, and some of them look pretty spectacular. So rather than travel to an exotic foreign destination, we decided to stay in New Zealand this summer, and spend our holidays checking out some of the new trails. I had originally wanted to do a full bike tour, carrying all our luggage, but the logistics of that were proving difficult. My normal travel style on the bike is to have a rough idea of direction, and then each day go as far as I like, stopping wherever is convenient. But this is tricky to do around Christmas/New Years in provincial New Zealand, as places tend to get booked out. 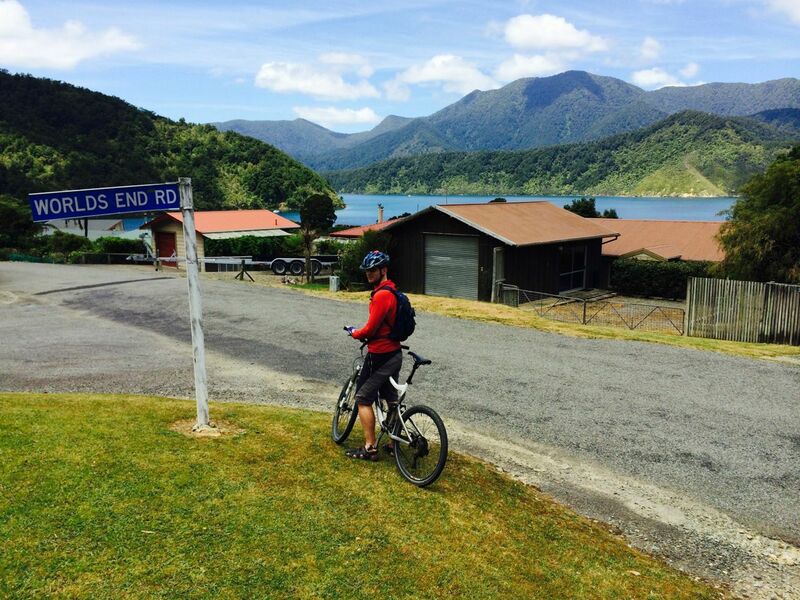 Instead we took a different approach – put the mountain bikes on the car, head down to the South Island, then spend three weeks travelling around, stopping in towns for a few days, and exploring the bike trails in that area. 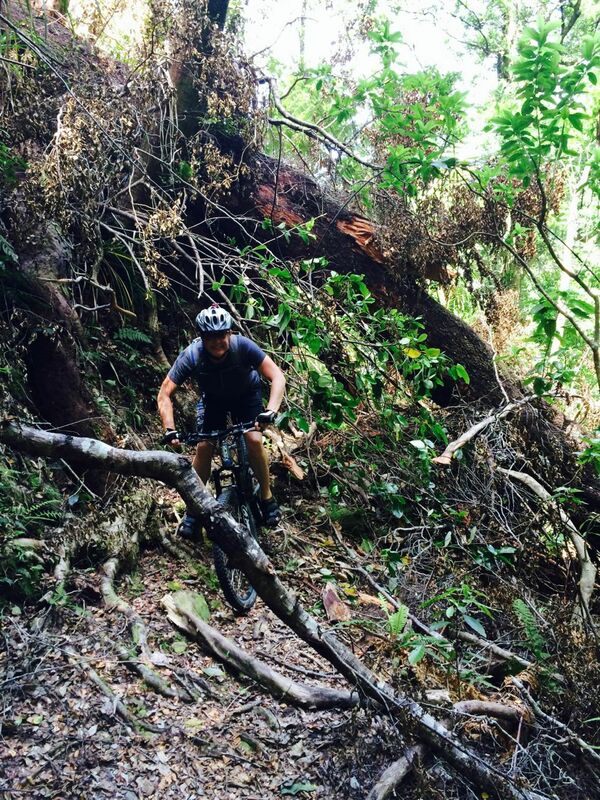 Using mountain bikes gave us complete flexibility to tackle any sort of trail surface – from fast downhill trails to gentle family-friendly rail trails. Samson got dropped off at rural farmstay retreat (i.e. my brother’s kiwifruit orchard), then we started the long drive down to Wellington, to catch the ferry across to the South Island. 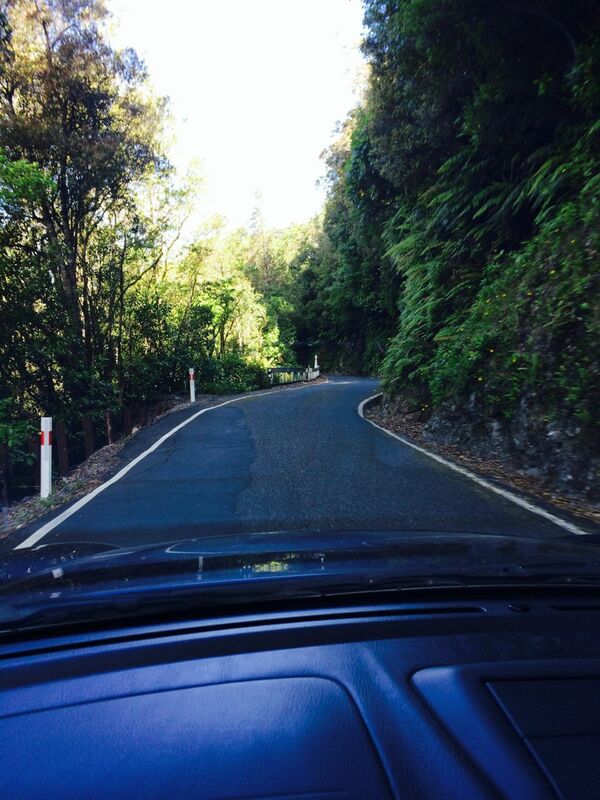 On the way, we took the Akatarawa Road from Waikanae to the Upper Hutt. 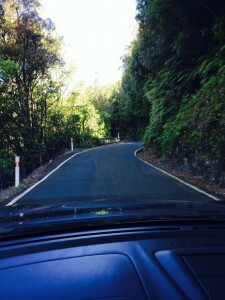 This is an amazingly beautiful drive, but I hope that tourists don’t get directed down here by their GPS – this is a VERY narrow, twisty road. It’s a bit stressful constantly going around blind corners on a road that is only a bit wider than a single car. 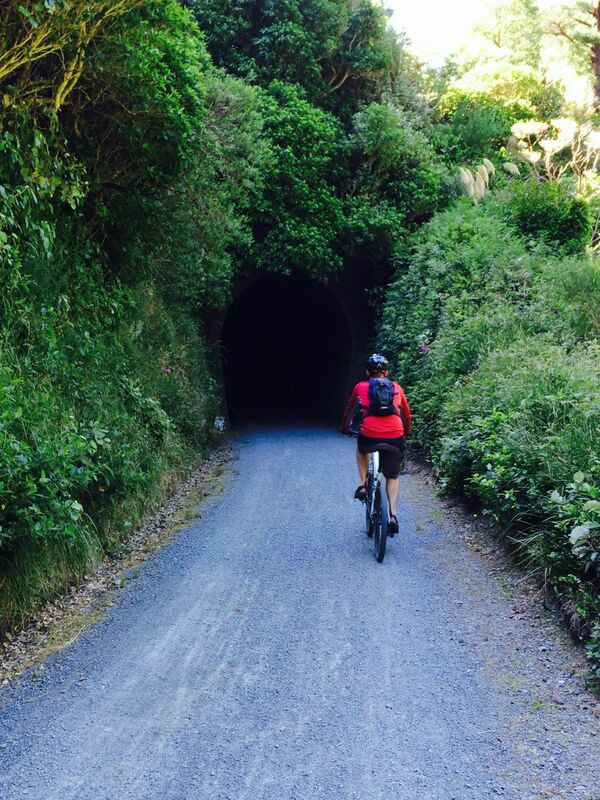 We then had a short ride on the Rail Trail part of the Rimutaka Cycle Trail. I wish we could have spent more time on this trail, but we had to get down to the wharf to check in. Our plan was to do a rough anti-clockwise loop around the South Island, with our first main stop in Nelson. I have family here, so we could spend Christmas with them. On the way from Picton to Nelson we stopped near Tennyson Inlet for a little warmup on quiet roads and bush tracks. 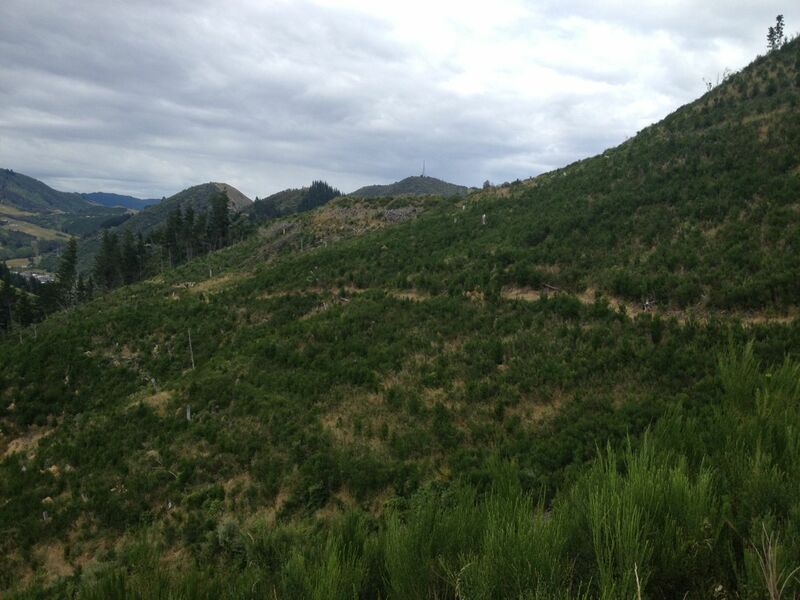 Amazing views, lots of isolated places, but pretty tough going slogging uphill in the heat. Another day we went out with Dave up into the Sharlands Creek area – a long slog up a gravel road, followed by a bit of bush-bashing to find the trail, and then the downhill single track just seemed to keep on rolling. 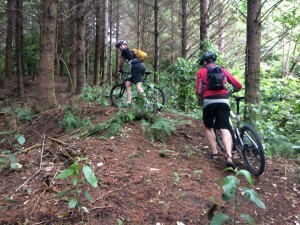 This was a lot of fun, and I’m glad I was on the bike – not running along beside us like Simba! 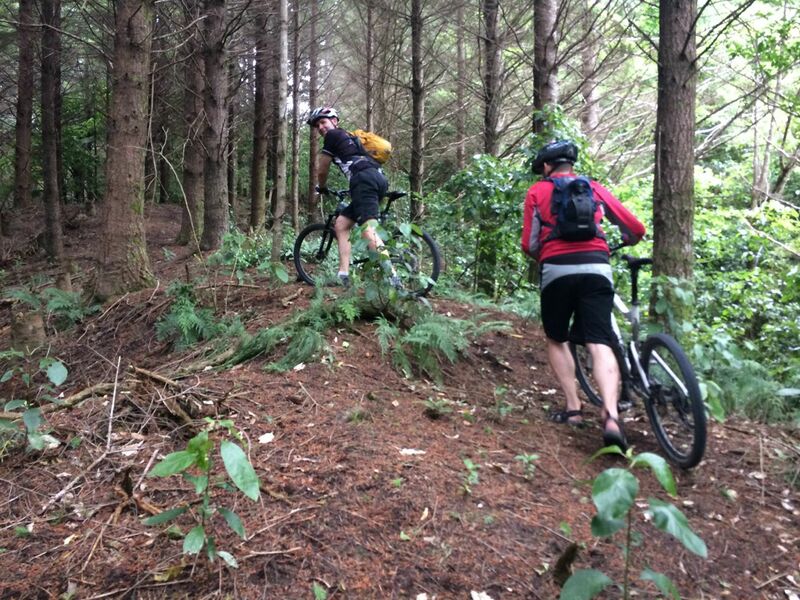 Nelson isn’t just mountain biking though – they already have a large network of bike paths around the city, and now they’re adding a new touring route around the region. We checked out a part of the “Great Taste Trail“, which will form a 3-4 day loop out from Nelson. 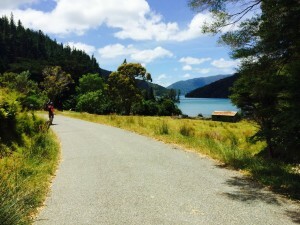 We rode from Central Nelson to Mapua, via Richmond and Rabbit Island. This was a nice day out, but we were getting a bit tired by the end. Breaking it up with Mapua at lunch was very nice, but it was a long day out – it’s just a bit too long for families with small children, who should only plan on tackling small parts of it. Special mention to the ferry operator – I thought I had completely messed up our timing, and we were going to have to wait, but nope – the ferry was doing a few extra runs, and pulled in just as we arrived. 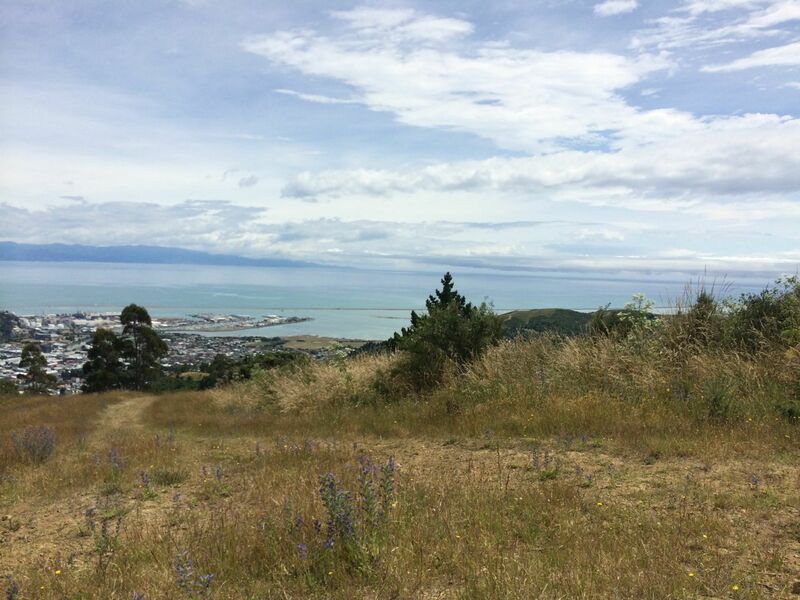 You’ve got two options going from Nelson to Richmond – you can either go more inland, via an old railway line, or you can go along the coast. 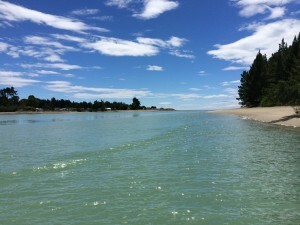 It might sound odd, but I actually preferred the inland route on the old railway line – it was very peaceful, whereas the coastal route is quite close to a busy road. It’s still a bike lane, but it can be very noisy, and you’re a bit exposed if it’s windy.